The last Provincial chapter of Malabar Province 2008 which is held on April 19th to 25th, 2008 at Lisieux Centre Moovattupuzha, proposed the General Definitory to create a Regional Vicariate of North Malabar includes the Dioceses of Palakkad, Trichur, Thamarassery, Thalassery, Mananthavady and Belthangady. The General Definitory has given its approval on dated September 2, 2008. Very Rev.Fr. General, P. Luis Aróstegui Gamboa, declared the new Regional Vicariate, Regional Vicariate of North Malabar - St. Teresa's Regional Vicariate of Malabar Province, on 29th of October, 2008 at 07.00 p.m at Carmel Hill Monastery, Trivandrum. The first Regional Vicariate Chapter commenced on 25th of November 2008 at Mount Carmel Ashram, Peravoor and elected Fr. Patrick Mootheril OCD, the First Regional Vicar and Fr. Joseph Macherithakidyil OCD and Fr. 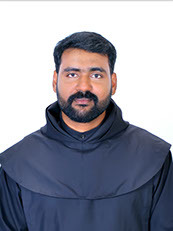 Augustine Puthiyidathuchalil OCD as the Councillors of St. Teresa’s Regional Vicariate. The Regional Vicariate has 3 formed houses, Mount Carmel Ashram, Peravoor, Avilagiri Ashram, Koombara and Pushpagiri Ashram, Panamaram and 2 Residences, Carmel Sadan, Belthangady and San Juan Ashram, Mandapam.